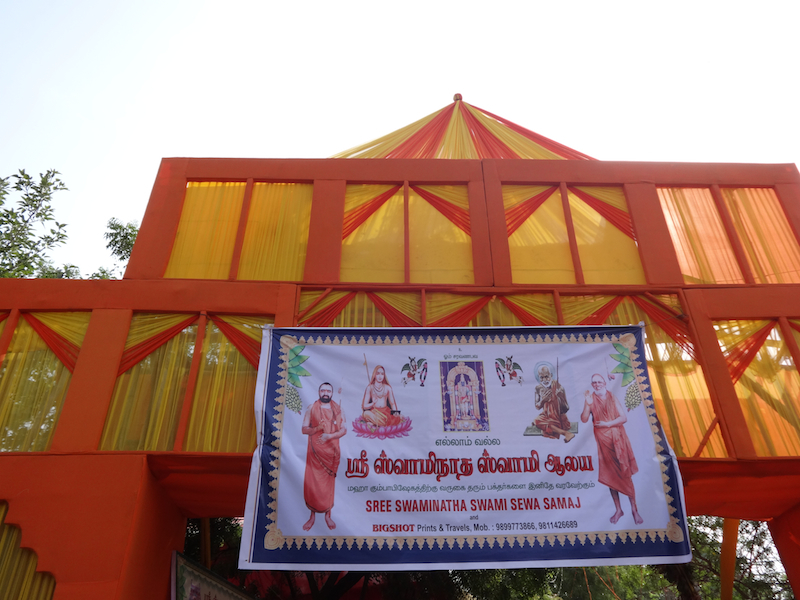 The Kumbhabhishekam of Uttara Swamimalai Sri Swaminatha Swami Temple - called "Malai Mandir" in New Delhi took place in the benign presence of His Holiness Pujyashri Jayendra Saraswathi Shankaracharya Swamiji. 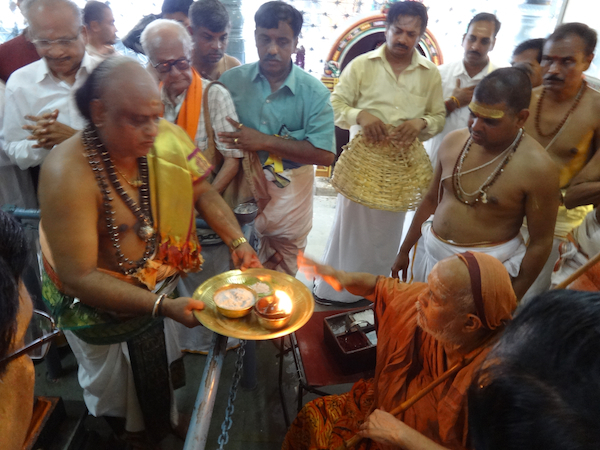 His Holiness was accorded traditional reception with Poornakumbha and chanting of Vedic Mantras on arrival. 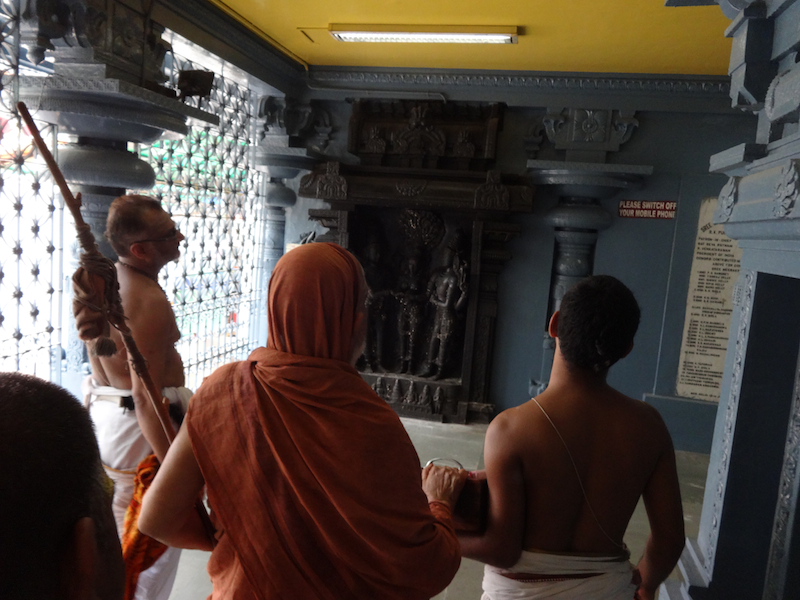 After the Yagashala Poornahuti, the kalashs were taken in procession to the various Gopurams and Sannadhis. 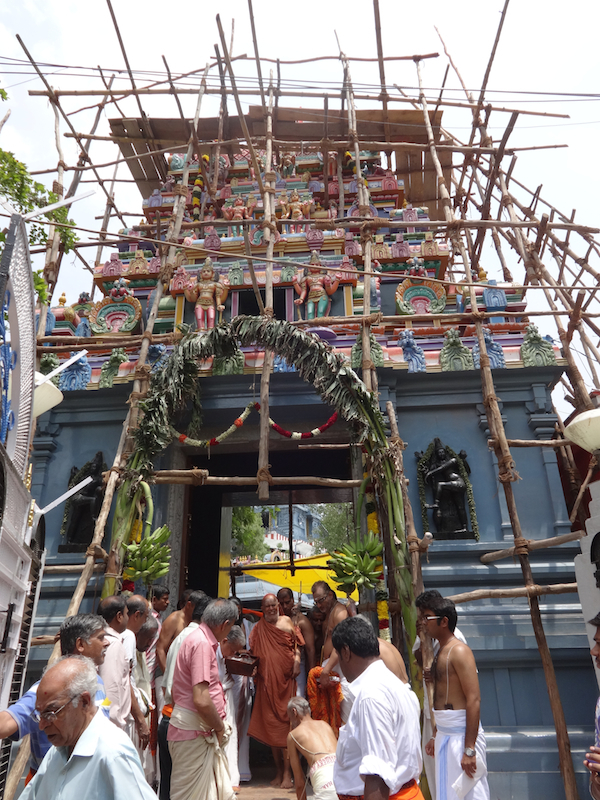 The consecration of Raja Gopuram took place at around 10 a.m., followed by Kumbabhishekam at the various Sannadhis of Shiva, Parvati, Ganesha and Lord Subrahmanya Swamy. 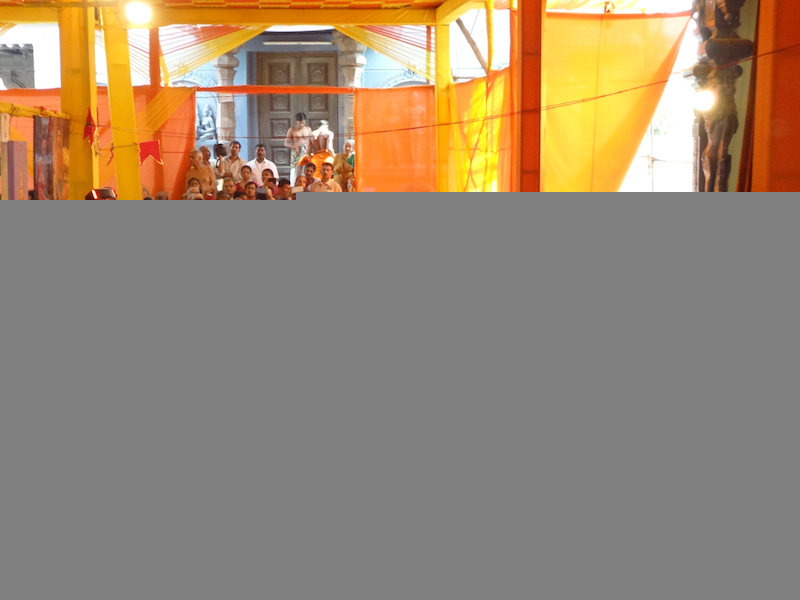 His Holiness gave darshan and blessed the devotees. 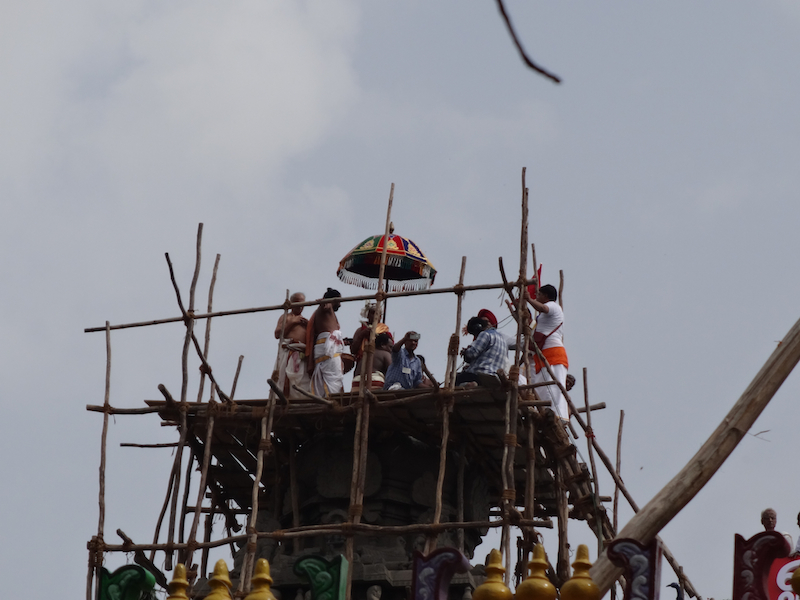 This is the fourth Kumbabhishekam being performed at the temple. The first Kumbabhishekam was performed on 7 June 1973 in the benign presence of His Holiness under the patronage of Shri R. Venkatraman, then President of India. 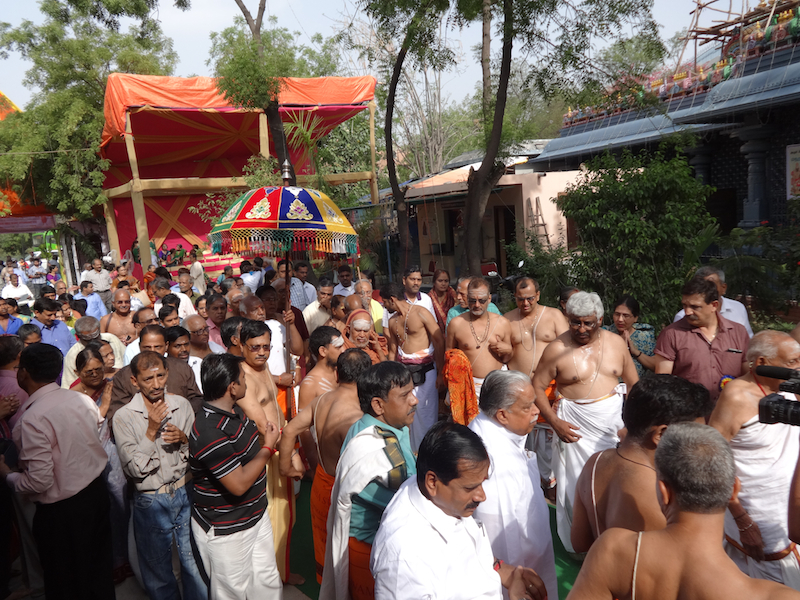 A large number of devotees took part in the Kumbabhishekam and received the blessings of His Holiness.